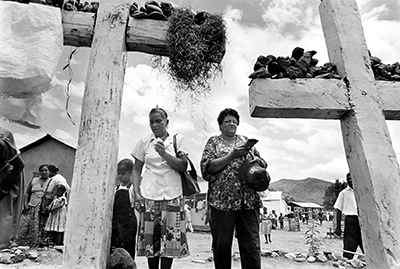 Jon Anderson is a photographer / writer who divides his time between St. Domingo and New York. He recently became an Alicia Patterson fellow. Earlier this year, I had an opportunity to interview Jon, and the interview still ranks among my favorites. Here Jon shares some ideas on how to become a better photographer. 1. Make mistakes, break the rules. While it is all very well to know the rules, it is not a good idea to follow them slavishly. The bandleader Artie Shaw once said, “If you don’t ever make mistakes, you’re not trying. You’re not playing at the edge of your ability.” Making mistakes, or making unorthodox decisions, can open the doors of perception and lead you to new ways of thinking. The shot reproduced here is unusual in that there is no obvious focal center, it is more dispersed and yet the eye’s movement through the composition is controlled by subtle pointers such as the outspread arms and other gestures. 2. Self knowledge is more important than technical knowledge. No amount of rules or photographic technique will convert you into a good photographer if you don’t have something to say. Each photographer has his or her own path to cut through the business, and what works for one may not work for another. Some have a particular talent for narrative work, others for exquisite shots of light and color, others for expressive action. Some develop slowly and others quickly. It can get pretty confusing if you don’t have an emotional and ideological north star to guide you. Your tastes in photography will be a good indication of the kind of photographer you want to be. One thing I strongly recommend is that you educate yourself. Aside from learning technique, learn history, philosophy, languages and literature, and you will have access to more ideas. The themes you choose are a big part of what makes your photography interesting. This shot was a conscious attempt to document a major event in a form that manages to convey a very diffferent feeling from the digital shots that everyone saw from that day. It is informed by a knowledge of history and past conflict and deliberately alludes to previous iconic representations of cataclysmic destruction such as WWII footage of the fire bombing of cities. 3. Know your limits and appreciate them. Miles Davis is a genius who discovered in his early career that he couldn’t play like the virtuouso bebopper Dizzy Gillespie, so he created a style that suited his limitations: “Sometimes you have to play for a long time to be able to play like yourself.” Not to be too facetious about it, but it so happens that I am a small person, and in photo scrimmages I often found it was an advantage that helped me to get the shot. As a result I often naturally adopt perspectives from below. 4. Shoot for posterity. You wont be there to enjoy it, but your pictures will definitely benefit from the high standard you impose on them. You have a choice: you can provide nice safe imagery, in accordance with what Roland Barthes called the “civilised code of perfect illusions,” or you can strive to confront people with an imagery whose reality is inexorable and entirely sets its own terms. In this image the man dying of starvation is shot in almost pure darkness and the usual facial expression is lost. The tilt of the shot, however, gives an off kilter feeling, as if harmony is disrupted and the usual visual norms don’t apply. Plus the small doorway, which admits the only shaft of light, gives the room a claustrophobic feeling of entrapment. 5. Be flexible, explore all formats, don’t give up on film. It is not a question of film vs. digital; it is a matter of exploiting everything in your toolbox according to each tool’s specific virtues. Film is tolerant, comes in many shapes and sizes, and it is solid state. 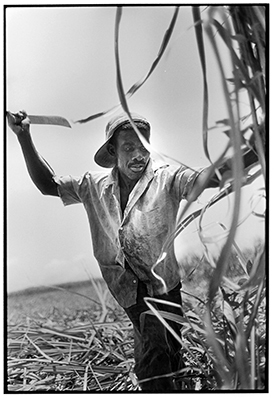 This shot of a cane cutter was overexposed by almost three stops because of faulty aperture blades that got stuck. But it prints clean as a whistle. Moreover, the same shot in color would not be as compelling, because the color just wasn’t there. 6. Do your homework. Lay the groundwork before you travel to a place. Try to learn what you can about a country’s history, society, and customs so you can navigate and create a flexible itinerary. This image portrays a ritual event that happens on a few particular dates during the year, so my arrival had to be timed just right. Getting to this remote site in the mountains required a long journey and proper timing. 7. Trust your intuition; don’t overanalyze. While preparation requires lots of analytic thinking, once you are on the ground shooting, the process should be intuitive and there should be an intimate connection between yourself and the subject which comes about as a result of the time you spend hanging out with people. 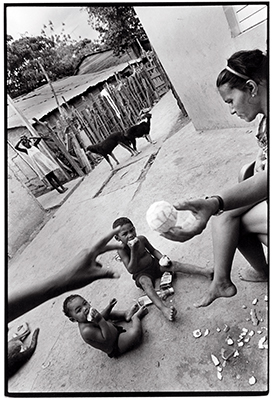 This picture is the result of a split second intuition about various forms and gestures, about connection and connecting, that managed to capture the feeling of a listless, hot summer day in a slum without portraying that poverty in the usual photojournalistic manner. 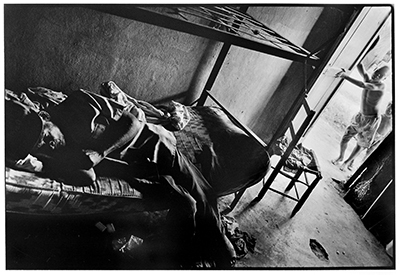 Daily life among the poor is not only starvation, drunkenness, violence – it has its mundane rituals too, its longueurs, which are perhaps more typical of the actual rhythm of life there. Poverty is boring; even the mongrel dogs here who are in the act of coupling could not be less enthusiastic. 8. Learn the importance of gesture. While many photojournalists are currently opting for atmospheric formal effects, the human beings captured in our photos do not signify their meaning via color and light; they gesticulate. Since photography captures surfaces, human gesture is the means whereby human emotion is made known, it is what hints at the inner meaning. All the better if the various gestures form a geometric pattern that pulls the composition together, as in the case of the three pairs of arms bent in the dance that create a correspondence of feeling and form in the center. 9. Long-term commitment to indepth, deeply heartfelt projects is a good way to break into the business and to produce great work. Digital capture and transmission have perfected the split second instantaneity of photography, but while photography moves ever faster, the world it captures and the stories it strives to create move at a much slower pace. 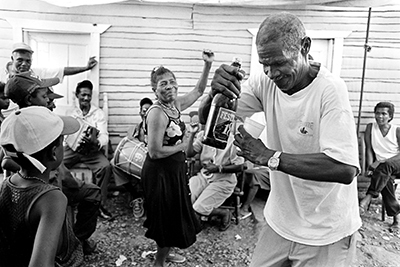 Take the time to capture the slower rhythms of life. Not all stories need be dictated by the focus of the media on acute crisis. 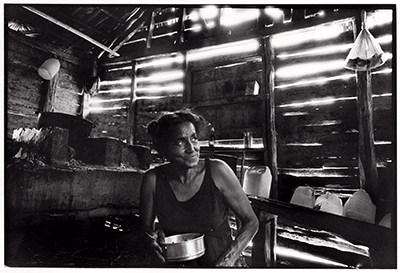 One thread running through my current project is the nature of country life in a developing nation. The rituals of daily life here are centuries old and have a completely different pace than that of modern urban life. In order to catch it in all its variety, one must be prepared to spend a lot of time there. Simple things like preparing breakfast, cooking at an old fashioned wood stove, tending the animals, are the source of meanings and symbols that have endured for centuries. 10. Getting access is often nothing more than the ability to make friends. 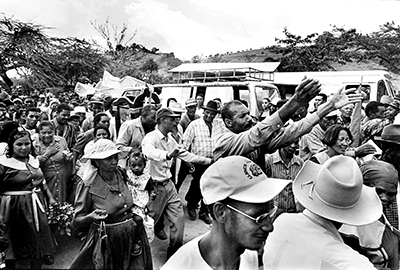 While at one level it might involve having to go through bureaucratic channels in order to arrive at a certain place, the shooting itself wont begin until you can win people´s trust, so ultimately getting access comes down to simple human relationship. The secret is simple: “Like people and let them know it,” as Robert Capa once said. In order to get access to the notoriously secretive hijra community in India, I simply introduced myself and expressed my interest. Love and respect can surmount most social, cultural and linguistic barriers. 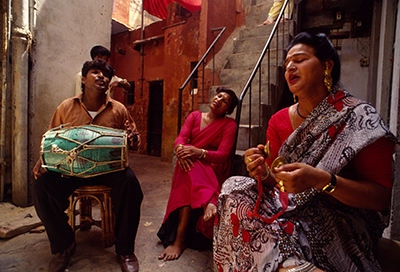 In this shot two hijras and a dholak drummer who works with them are serenading a family who has just been blessed with a baby boy. Steve Simon tells the funny story about how one of his photography projects was rescued. Last week I talked about persevering with your projects. Continuing last week’s post, after getting a flurry of rejection letters from publishers about my proposed book, Empty Sky: The Pilgrimage To Ground Zero, I tried a different way of approaching my publishing problem. The late Susan Sontag lived in my building. She was connected to photography through her seminal volume entitled: On Photography. She was also an opinionated and well-known New Yorker. I thought that if she would agree to write a forward for this project, then maybe book publishers would take more notice of the work. 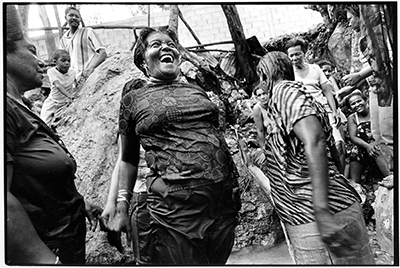 Velibor Bozovic is a Montreal-based photographer and a native of Sarajevo. He has collaborated on the Lazarus project and Nowhere Man with the writer Aleksandar Hemon. 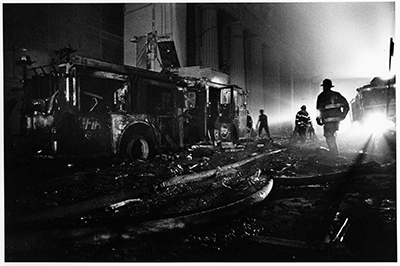 His photography has appeared in The Paris Review. Wayne: You have been working on a collaboration called Lazarus with the writer Aleksandar Hemon. Can you talk about how you both came to work on the project? What was its genesis, and where are you taking the project? How much does it relate to the collaborative work that appeared in The Paris Review? Velibor: The writer Aleksandar Hemon, who happens to [have been] my best friend for more than 20 years, asked me to accompany him on a research trip to Eastern Europe and document it with my camera. Hemon’s book will be partially based on the life of Lazarus Averbuch, a young Jewish immigrant who at the age of 19 was killed by the Chicago chief of police, only months after his arrival to America in 1908. We were going back to where Lazarus came from, trying to understand the places he left behind. Lazarus Averbuch was born in Kishinev, today Chisinau, the capital of Moldova. There, as a child he survived the pogrom and escaped with his family to Chernivtsi, today in Ukraine, and then continued his journey to Chicago where he got killed. We went in the opposite direction. We were not going to solve the mystery of Lazarus’s life and death and that was not the intent behind the trip. Aleksandar needed to see, hear, sense the remaining fragments of the times and locations Lazarus went through on his journey from Chisinau to Chicago. We were not in search of the history (as historians would) but rather in search of the story. The resulting photo essay is not pretending to be an objective photo journalistic portrait of the region, it is more a personal reflection on places we visited and people we met during the trip. In retrospect, while Aleksandar was looking for his story I was looking for myself. Wayne: You have also created The Pronek Guide to Chicago in response to Hemon’s novel Nowhere Man. How and why was that project launched? Velibor: At the time when Nowhere Man was coming out the editor / publisher wanted to do a web-based interactive Pronek’s guide to Chicago. (Pronek is the main character in the book, and there are lots of references to contemporary Chicago). It was a great idea, but it never got completed since the editor moved to another publishing house, and the author followed, and the project stalled. But parts of it can still be seen on the author’s website. Wayne: Your Montreal project you call a “Fiction: Life/Discreet.” You describe the project in this way: “Everyone in this city, as in any other, creates and lives in a city of their own, built on personal paths, streets, sites, realities and dreams, perhaps. We do not follow the same routes and we do not experience the same emotions, even though it might often seem as if we do. Here are the fragments of the city I build, the one I create so it could belong to me.” Why do you think there is that much separation in how each of us sees and uses (visual) space? Velibor: I wouldn’t call it separation. Seems too harsh of a word. I am a city person and couldn’t imagine living in suburbs or anywhere outside the city. Cities bring people together. Where I live, just in that one block, there are about 150 to 200 apartments. The only thing we all (300 to 400 of us) have in common for sure is that we all hit the same traffic lights every morning when leaving the house, whether we walk or drive or bike. Beyond that point, it’s a big mystery. We work in different places, we shop at different places, we enjoy different spots in town, every day we come back home feeling one way or another, we occasionally stumble upon each other somewhere. We dream different dreams. I have places in town I visit every single day. Some I visit from time to time, and many I’ll never see. Often, I see someone, often just in passing, who provokes my interest and I think how the chances are I’ll never see this person again, as long as I live. There are a few million people in this city, even more in yours. Yet, we tend to say New Yorkers are like this, Parisians are like that, but in essence, we are all individuals. The cities do not shape people, it is the people who shape and build cities. This city didn’t embrace me when I arrived, I embraced this city. Wayne: Your project “Soul Neighborhood” is in reaction to your first visit back to Sarajevo after you left in 1998. Can you share what it felt like emotionally to return to the city? How do we see this in the photographs of your project? How intentional was it to shoot the return in black and white? Velibor: There was no intention. Black and white was the only way I took pictures at the time. For the longest time I could only think of photography as black and white. Only since I got my first digital camera a few months ago, I started creating color images. It’s still a struggle. [My] return to Bosnia was emotional, and I was kind of frozen—didn’t take many pictures. I was in Sarajevo during the siege, lived with the city through its hardest times. That’s where my family still is, that’s where I have friends, there are all these places I have deep feelings for, the memories of my childhood and the memories of the war. I still have dreams set in Sarajevo, and I have nightmares. In 2005 I went back with my children for the first time, and they are the only faces you can see from that series. I almost didn’t take any photographs of people. I took photos of trees, flowers, asphalt and clouds, mostly. I guess I was pretty screwed up at the time. Wayne: Your life has taken you from Slovenia to Bosnia-Herzegovina to Canada. How do you think these moves have colored your visual outlook? What early interests did you have in photography, what waylaid them (and sent you into a career as an engineer instead), and why do you say its only recently that you’re starting to push your work out? Velibor: Had my parents decided to stay in Slovenia, instead of moving to Sarajevo when I was four years old—I would have been someone else now, most probably someone very different, and what would have been the chances that I would be photographing at all? The move to Sarajevo I consider the most fortunate thing in my life, since Sarajevo was the best place on the planet to grow up in. I have nothing but great memories of my childhood, I have a great group of friends and, while dispersed all over the world because of the war, we still deeply care for each other and use every opportunity to get together. The war was so terrible to send hundreds of thousands of people to death and millions [seeking] refuge, but [it] couldn’t break this circle of friendship. My visual outlook has been the product of life experience […] and that always includes experiences of others. While I always loved looking at photographs I don’t think I had an early interest to be a photographer. My interests layered on each other, very slowly—[…] at one point my only interest was pure survival. It took more than 30 years for this photography layer to settle and for me to realize this is what I want to do in life. Some people know what they want to do at the age of six, some at the age of 15, but for me it took much longer and that’s not necessarily a bad thing. Wayne: What photographic or artistic training have you had? What spurred you to promote your work more heavily, and what are you doing to promote it? I had no formal training. When I was in high school, a good friend of mine would lock himself in the school darkroom, and it seemed to be a nice place to hide from the crowd and professors. So I would join him, and he showed me the basics of darkroom magic. It was the same friend who was doing the same thing when we were at university, so I would accompany him again. But I didn’t photograph at the time. I knew how to print, but didn’t even have a camera. Both my photographic and artistic training came from [my] interest in music, movies and art. And literature, of course. It came from my friends, as we would share what we had discovered, and we talked and discussed and fought. We were a curious bunch. We were growing up in a communist run country but the borders were open, and people would travel, foreigners were coming. Compared to our peers in Montreal, or in London, we had to do a little bit extra to get the latest XTC or Birthday Party LP records, and we did. There was no store down the street that carried the latest punk or new wave records, or rather, there was a store but no XTC records in it. So we did that little extra effort to get what we needed. No training, just life. I only started taking photographs once I moved to Montreal, some eight years ago. All along, I had been working as engineer in a big aerospace corporation and the photography kept me sane. But I had a very limited time for photography—only after my kids would go to bed—so I didn’t have much sleep in the last few years, which is a very familiar story to many photographers. My discomfort with the corporate world resulted in growing internal conflicts with myself—ethical, moral, human—and finally led me to take time off from work and dedicate all my time to photography. This is a period of my life where some big decisions have to be made. I’m terrible in promoting anything, especially myself, and I make all the mistakes beginners do. But I try with some simple steps: set up the website, opened a Digital Railroad account, finally started to submit some of the stories to some magazines and getting to know people from the photography world, even if only virtual. I discovered the Lightstalkers forum from where I learn (I hope) a great deal of all the aspects of photography, including how to promote oneself. In the photography world, I’m a complete outsider, from a different academic background, doing the type of photography that will never be of interest to popular media or the broad public. I’m 40 years old, therefore by most standards I can’t be an “emerging” photographer. (Emerging photographers can’t be more than 25 or sometimes 35 years old?! Who sets up those limits anyway? They seem to be unable to foresee the possibility of someone emerging when 40.) Well, I’m emerging, even if only from my own personal set of mind and boundaries, I’m emerging. It’s good to be an outsider. Wayne: You have the two collaborations with Hemon; your Montreal project is called a “fiction.” How does literature otherwise influence your photography? What are your thoughts on the interplay of image and text? Velibor: Literature is so powerful, sometimes it just blows me away together with my photography. Literature has a huge influence on everything I do, not only on my photography. Depending on what are you trying to do with your photography the interplay of image and text can play huge importance. Photography was always about storytelling, but sometimes I think that nothing is as capable of storytelling as literature; every art medium’s story telling capability is very limited when compared to literature. The reason is that literature always leaves some space for reader’s imagination. The great photography works have the same power since, while depicting the scene in details, it’s often about what’s left out of the frame, or what has just slipped out of the frame that draws us in. While looking at the photograph I think about what led to the scene or what happened moments after, things I anticipate further down the road or about things that can’t be photographed at all, it’s a viewer’s imagination that plays a gigantic role. I want to look at your photograph for as long as I feel like it, and I want to leave that space with this whole new world your photograph created in my mind. What worries me a lot is today’s tendency for a photo essay, in order to be taken seriously and eventually published in any form, to be accompanied by a well-written text as if it requires an explanation. Pictures that are well ”packaged” with good statement/writing are a priori taken more seriously than a body of work not “packaged,” however good it is. Photography doesn’t need explanation. Two examples that come first to mind, since I saw them recently, is Andy Levin’s Coney Island series and Stefan Rohner’s Humans which I only saw in multimedia format. Fantastic photographs, no captions or voiceover (at least in the presentations I saw), just photography at its best. It is so refreshing to see someone today having the courage to call his photo series simply ‘Humans’ and present it without wrapping. And it is beautiful. When introducing his series to Lightstalkers forum Stefan wrote something like “no big theme, just bunch of pictures together…,” knowing, I guess, that people expect big themes and explanation. I’m not judging anything and, of course, I’m not taking about the news photography, I’m only afraid that we will never see some great photography work because it is not packaged and will not be taken seriously. Most of us fall right into this trap, I often do. Recently I had this correspondence with a photo editor of a magazine. He was obviously interested in my project after seeing the pictures, but then he started asking me to talk (write) about my project, which I did, but then he wanted more and more. No matter how much he liked the photographs, he needed to come up with the explanation, I assume, for the viewers on how, why, who… As if everything has to be explained. (Don’t give a viewer a chance to make his own conclusions or story), there is hardly any space for photography as a product of photographer’s emotions, perception and inner self references… At the end, I believe, only photography that stands on its own ground has a chance to be timeless. 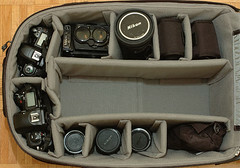 I wanted to find a rollercase that I could drag around town with me on the occasional photo shoot. Ideally, it would fit in the overhead bin of an airplane. To top it off, I also wanted to find something to secure the majority of my equipment for when nosy visitors came to my small Manhattan apartment. I think I found a bag that accomplishes each of those tasks for me. Your first impression of Thinktank’s Airport Security bag is that it is both well-designed and well-made. The case has a structure that seems sturdy enough to ward off bumps and bruises. 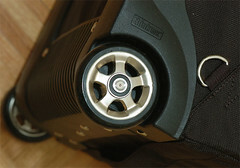 It has robust zippers and roller wheels (though the case would have been even better with 360 degree wheels). Two shoulder straps can be pulled out for those times when you are unable to conveniently roll the case. Combination locks secure the case from casual thieves. Like many modern cases, the rollercase unzips so that you can quickly show its contents to airport security or anyone else who might want to inspect it. In the event that you have to leave it momentarily or are required to leave it behind in a cloakroom or pressroom, there is a “secret” compartment in the bottom with an attached cable that you can secure to a rail (or anything else that might be bolted down). I am not sure if the case will fit a kitchen sink, but I am able to fit a lot of my equipment into it: a Nikon “prosumer” digital single lens reflex (SLR) camera, an older model “professional” digital SLR, four prime lenses, a medium format camera, speedlights and a rangefinder. The cameras and lenses are separated with detachable, padded velcro dividers. There is also a deep well in the center in which you can place a large telephoto lens, tripod or light stand(s). I was leafing through the October issue of B&W Magazine and came across an ad for prints from photographer / film director Fan Ho. Modernbook Gallery in Palo Alto has an online gallery of images from the book collection Fan Ho: 100 Photographs. Fan Ho demonstrates skill with backlighting, and there are some spectacular black & white photos of Hong Kong, which ranks as one of my favorite cities. I favor his black and white work over his color work, part of a retrospective that was reviewed by Palo Alto Weekly when it came out.